When a loved one passes and leaves you with a property, it might be a meaningful gesture but, the truth is, an inherited property isn’t always convenient to own. There are additional bills, expense, maintenance, upkeep, and stress; it can be time-consuming. So if you are thinking of selling your inherited property, you might first be thinking about selling with the help of a real estate agent. However, you might be surprised to learn that you have options that you may want to consider as well. In fact, did you know you have 3 financial options you can pursue when selling an inherited property in Phoenix? There’s nothing wrong with selling through a real estate agent but you should be aware that an agent may have you fix up the inherited property first, then there are closing fees and the hefty agent commission you’ll have to pay afterward. And, this method can take months, so some people don’t like how long it takes. So, what are the other options? 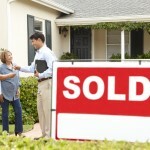 One option, which is a type of selling, is to refinance the property with a bank and use that money for other things. Although you’ll still own the house, this is a financial option that some people might consider if they are selling in order to get the money. You can still use the house, or rent it out, and you’ll need to pay back the loan to the bank, but it’s one option to consider. One little-known option that owners of inherited properties might enjoy is the ability to sell the house fast for cash. Instead of selling through an agent (and hoping they can find a buyer, which can take months), you can work with a house-buying company (like what we do here at Higher Offer) and they’ll often buy your house as-is for cash, usually in as little as a few days. It’s fast, simple, and doesn’t require any work. There you have it! 3 financial options you can pursue when selling an inherited property in Phoenix! Thinking about selling your inherited property fast for cash? We can help! Click here now and fill out the form our call our office at 602-833-7812.